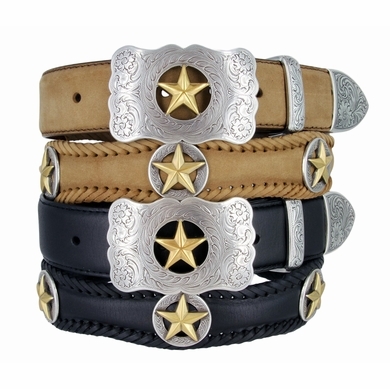 sterling silver western buckle with gold finish star snaps on Genuine Leather belt. Comes with Silver and Raised golden finish star ornaments. 1 1/2" wide. Sizes Available from 28" thru 60".